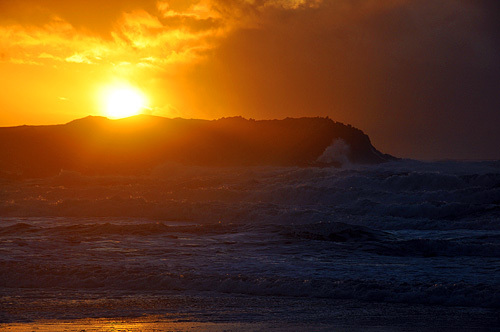 This is the last sunset I saw on Islay this year, a quite dramatic sunset in Saligo Bay. I've got some video footage of it as well, which I hope to publish this or next weekend. Until then you'll have to get by with this picture, of which I will post a larger version on the relaunched Islay Pictures photoblog on Saturday morning. But for now, good night!